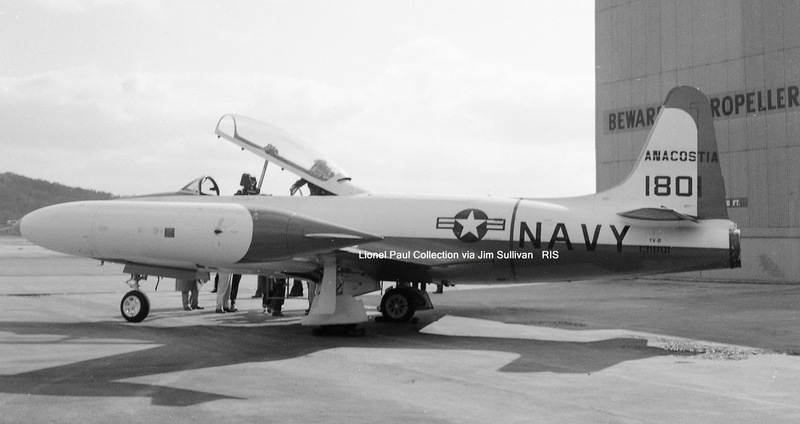 Or maybe not, but that "ivory" part is important to us today regardless of whether or not your fingers have ever touched the keys of a piano, because today we're going to discuss those oddly-colored Hasegawa decals that plastic modelers have been complaining about since the beginning of time. You know the ones, right? They've got a goofy-looking, almost milky color to what would normally be white in anybody else's decal sheets and that color is obviously wrong wrong wrong, totally unusable on a model of any kind. The decals are throwaways because of that off-white, and that's not even taking into account the fact that the stickies are too thick and don't respond well to normal decal solvents. In short, those decals are poo-poo! 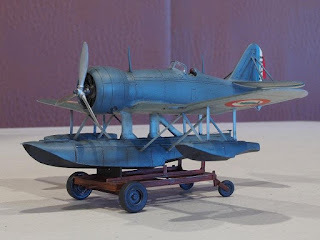 Wait a minute, though... Hasegawa has been a leading force in the design and manufacture of scale polystyrene models since their evolution away from their first generation kits back in the late 1960s, and almost everything about their kits since then has been a class act. Why in the world would they put those lousy decals in such otherwise impeccable kits? Are they crazy or what? Let's think about that for a minute, because I did, and I chose "What" over "Crazy". Maybe, just maybe, you should too. Let's consider a couple of things. The number one complaint regarding Hasegawa kit decals, or at least the complaint that comes across based on what I can tell in published kit reviews, is that ivory white color they use in lieu of a more traditional and generally more acceptable pure white. Reviewer after reviewer, probably to include myself at one time if the truth be known, has lambasted those decals because of that color and often lamented the fact that the markings so defiled were unique, therefore making the horrific crime of failing to use a pure white all the more unbearable to contemplate. 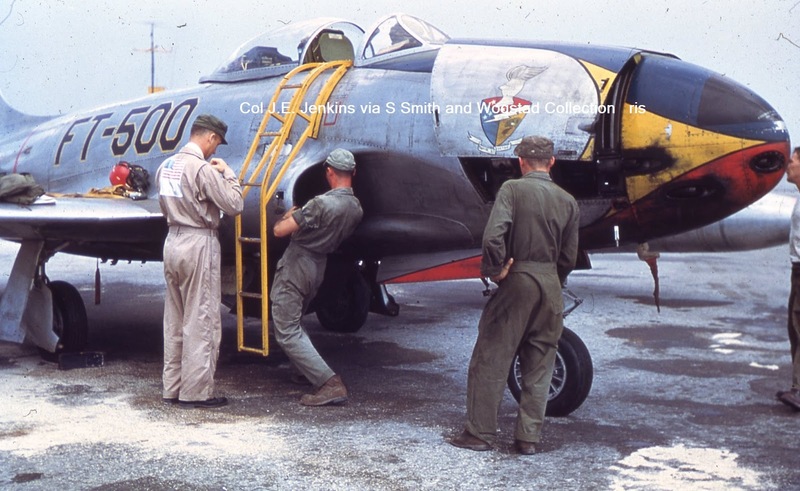 Then again, color is a highly subjective topic when we're discussing it as applied to a tiny edifice of the real thing, because pure color really doesn't cut it on a scale model, tending to be entirely too stark to be believable most of the time. A phenomenon known to us as scale effect comes into play when we're dealing with something as tiny as as any scale model is, and that includes those produced in the larger scales as well. Pure, bright red is generally too bright as it appears on a scale object, as is pure bright yellow or, dare we even suggest it; pure bright white! You almost have to tone your colors down to make them believable, and that's across the board. 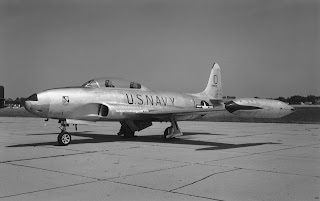 The soon to be late and lamented Testor took that concept so far as to produce certain of their aircraft colors in a pre-faded format back in the late 90s, and there was a reason, albeit poorly understood at the time, for their doing it. The point I'm trying to make here is that Hasegawa's infamous Ivory White isn't necessarily the end of the world as far as "correct" scale modeling is concerned---that horribly inaccurate color can actually work pretty well on a model that's had it's paintwork suitably enhanced, either by substantial weathering or through the concept of scale effect. Yes; it's a matter of personal taste and yes; it can look pretty odd in the wrong context, but in many instances it ends up being appropriate and therefore right. It's a subjective thing, of course, and one that's left entirely in the eye of the beholder, but that notion of scale effect goes a long way towards explaining why Hasegawa chose to use the color in the first place, internet reviewers notwithstanding. One final thing while we're at it: We also mentioned the fact that Hasegawa kit decals, or at least those used throughout the 90s and early 2000s, were too thick to be used and reacted poorly to conventional decal solvents. Those things are true, sortof, but the issues go away if you use the setting solution recommended by Hasegawa, which is Mr. Mark setting solution. A quick application of that particular product, easily available in Japan and not all that difficult to find here, makes those unusable kit decals snuggle right down the way they should, and a coat of flat finish (or whatever you use to finish off your models) goes a very long way towards eliminating the "too thick" part of the equation. Those kit decals were designed to work within the parameters of a specific set of circumstances, and tend to fail when those parameters are ignored. There's a message there, I think. Sometimes things sneak up on you when you least expect them to, and the photograph you see immediately below is a fine example of that phenomena. 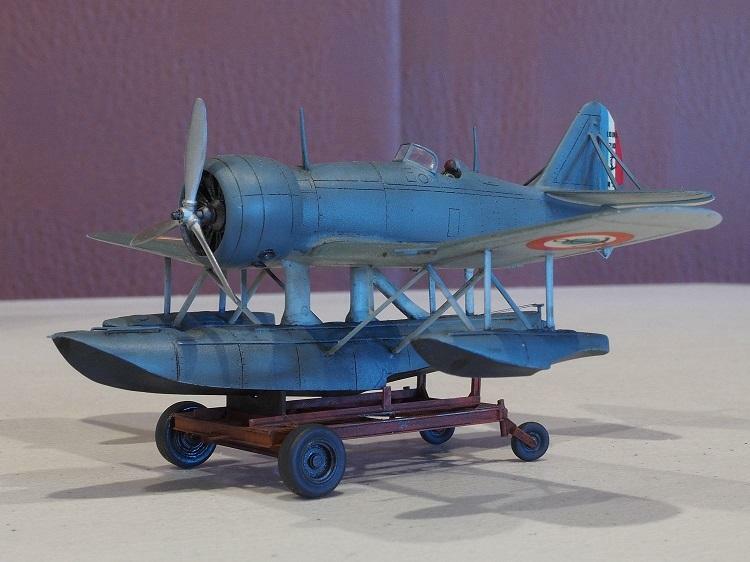 The model is by Herb Arnold and it's a fine example of a 1930s French floatplane about which I'll freely admit I know next to nothing; the Loire 210. The French navy bought some 20 of them in 1938 for use off their cruisers but a major structural flaw kept them from being of any significant operational use. It's an interesting airplane, though, and one you won't find in just any collection! Many thanks to Herb for sending along this photo for our enjoyment! Back in November of 1972, to be exact, we published our second print issue of Replica in Scale. 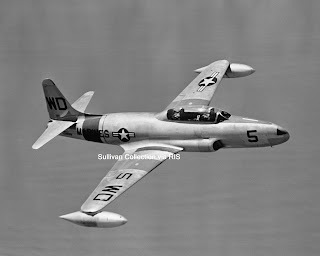 Our very first issue had featured an interview with former 56th FG fighter pilot John Keeler---we weren't entirely certain how that sort of thing would go over with our brand spanking new readership but it turned out to be a hit, so we set off in search of someone else to talk to for that forthcoming second edition. 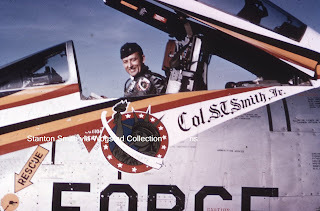 As things turned out we didn't have to look very far, and our second effort included an interview with former 80th, 49th, and 48th FG pilot Stanton T. Smith. A recent electronic conversation with reader and friend Jean Barbaud re-kindled our interest in that old interview or, more specifically, the photographs that accompanied it. As things transpired Jim Wogstad still held copies of the photography we ran way back then and scanned and sent them along, which inspired the piece you're about to see. 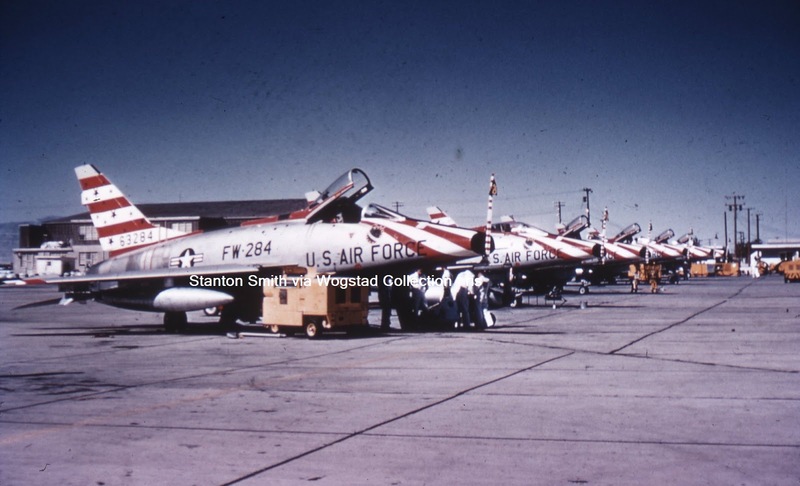 Many thanks to Stanton Smith for allowing us to interview him all those years ago, and to Jim Wogstad for pulling these images out of the files and sharing them with us! The P-40E depicted in this photograph should be familiar to you, although that's not evident at first glance. 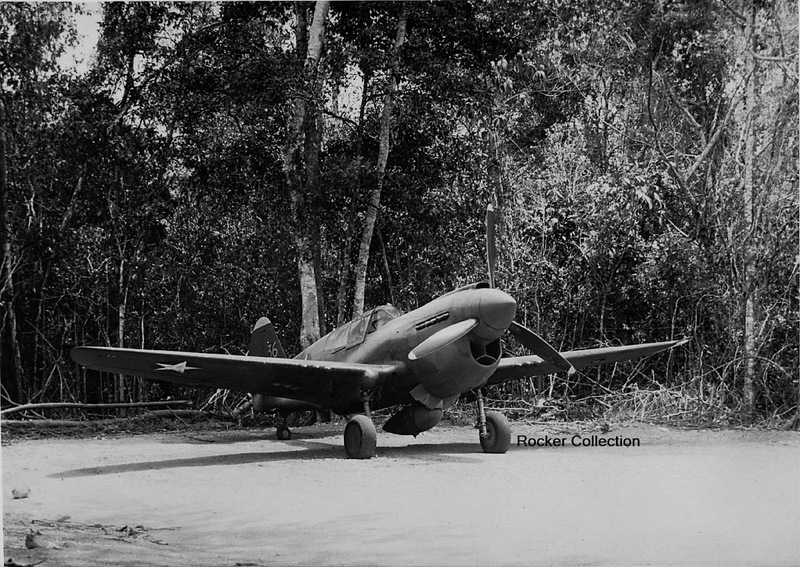 The image was taken at one of the fields outside of Darwin during 1942 and depicts a fighter from the 7th PS pushed back into what passes for a hardstand. 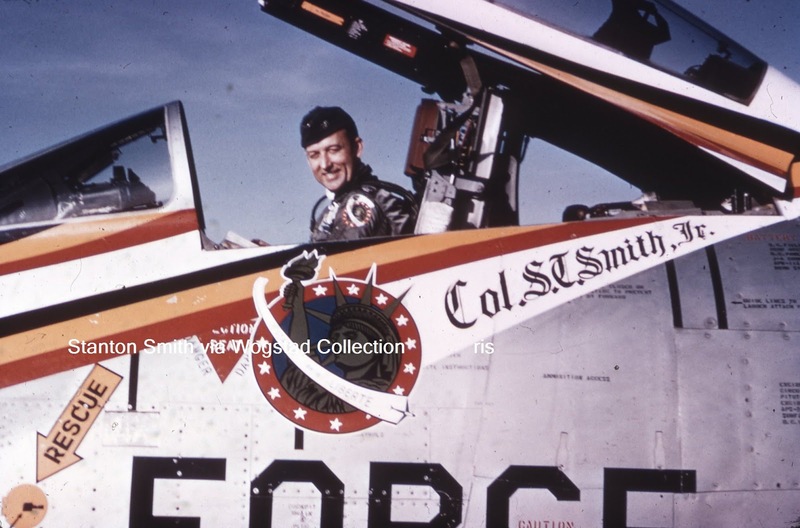 The only other marking evident is the tip of the vertical tail, which appears to be in white or possibly yellow, but take a second look. The tail number is presented in an unique style unlike that normally found on aircraft assigned to the 49th, but it's virtually identical, not only in style but also in size and location, to the tail number found on 2nd Lt Bill Hennon's aircraft, and there's a clincher when we look at the aircraft's spinner---the spinner cap appears to be in a different color than the OD of the rest of the airframe and Hennon was a veteran of the 17th Provisional Pursuit Squadron in Java---several ex-17th pilots ended up in the 49th FG and were nicknamed "The Java Flight", carrying red spinner caps to commemorate their status within the unit. 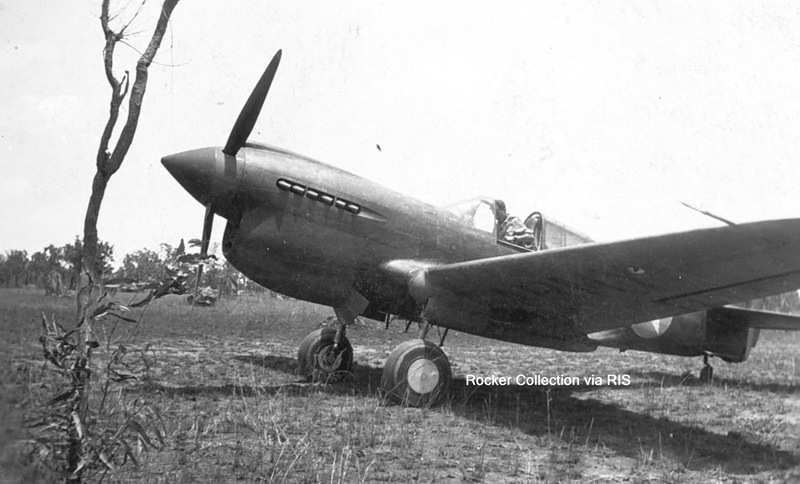 The aircraft in this image is missing the band of stars and equally stylized number 36 that eventually appeared on the nose of Hennon's bird, but there's an answer for that as well, since a number of P-40s assigned to the 49th acquired nose art and/or names all at one fell swoop for a publicity function that took place prior to May of 1942. 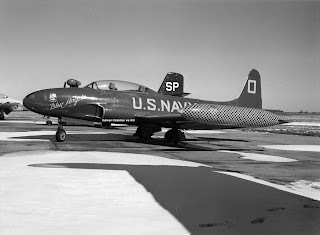 It's our contention (or wild guess---you pick which one you prefer) that the airplane either pre- or post-dated that time frame and you could decide on either one since the airplane doesn't appear to have the "U.S. ARMY" logo painted under its wings. 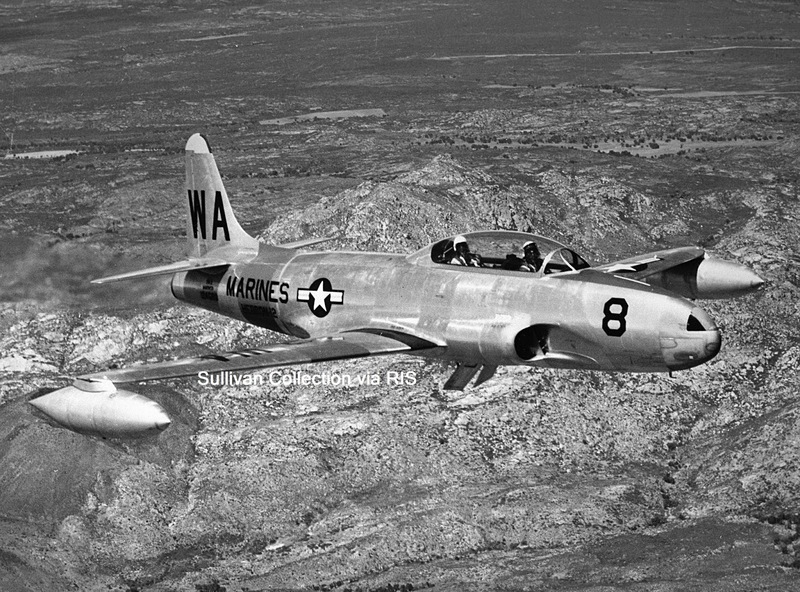 That's our guess, but comments and corrections are certainly welcome! Bobby Rocker has been with this project almost from the beginning, and the photos he continually copies for us, or locates from other collectors, fills an enormous gap in our knowledge of the aviation side of the Pacific War. Thanks, Bobby! Last issue we discussed an e-book published by the folks over at Detail and Scale. That's significant to us because Bert and Rock have come to the conclusion that it's far easier to provide the aviation community with quality publications at an affordable price by doing them electronically, and they've forgone conventional print publishing to that end. It's The Way of the Future and I could certainly say it's a trend I don't personally like, but then again you aren't reading this blog on in a conventional print publication either! Nope; the future's here to stay, and it's time to jump on board! Colors and Markings of the F-102 Delta Dagger, Rock Roszak, Detail and Scale, 2017, 380 pp, illustrated. 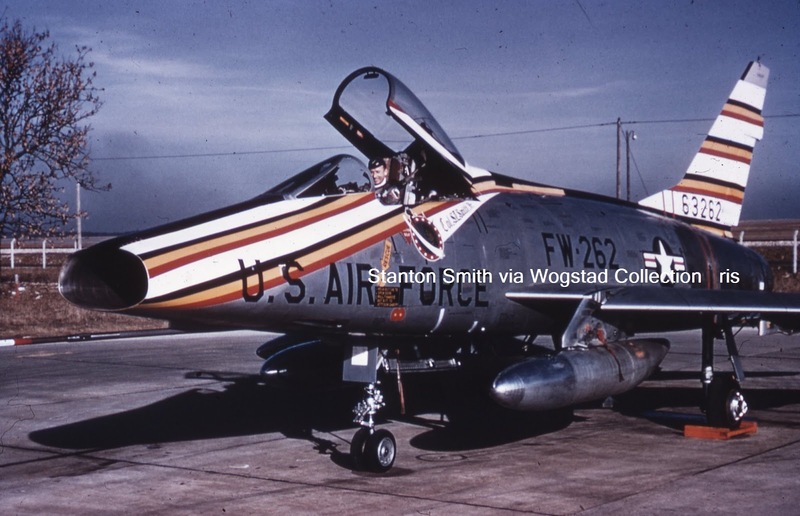 When we reviewed the new Detail and Scale F-102 publication last time around we mentioned that it was big on unit markings, which is certainly true. 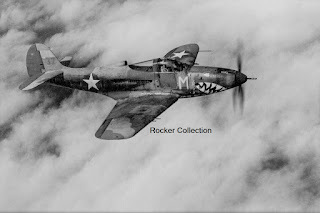 What we didn't mention, even though we were well aware of the fact at the time, was that Rock Roszak was working on a follow-up volume that was strictly colors and markings worn by the "Deuce". That book has now been released and it's a pretty amazing publication, electronic format notwithstanding. The author is obviously comfortable with the medium of electronic publishing and manages to make the title both informative and user-friendly, even for an electronic dinosaur like myself. 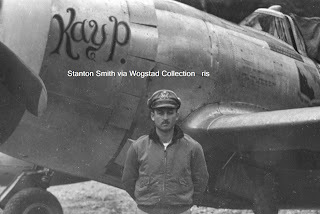 The book is exactly what the title says it is and is exceptionally complete (although we reserve the right for Marty Isham to contact us and let us know if anything significant is missing! 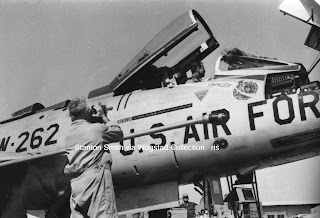 ), covering every era of the "Deuce's" service to include both active commands and the ANG. There are sections on what officialdom thought about the aircraft's paint work and what was actually done, all illustrated in color, and each section is copiously illustrated (I always wanted to say that but never had the chance until now---thanks, Rock! ), and accurately captioned. The book includes 48 full-color illustrations and 520 photographs, 320 of which are in color and all of which can be manipulated for size thanks to the volume's electronic format. 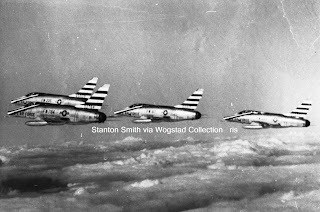 It's a publication that you honestly need to have if your interests run towards the F-102, Century Series Fighters, or the US Air Force of the 1950s and 60s. There's a catch, though. We mentioned it last time when we reviewed Detail and Scale's first e-book on the "Deuce" and it's worth repeating here---you're going to have to embrace the technology to enjoy the book, and you're going to have to learn all the nuances and how to navigate them. That's intimidating for and old-stager such as myself, but the rewards are well worth the effort of learning how to use the format. Consider this if you will: In its present (and only) form, this publication sells for $9.99 retail. 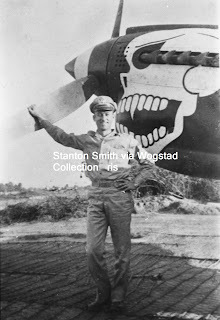 If it were a conventional book, on glossy paper in a decent size, and containing all of the photographs and color illustrations that it does, it would have to be priced in the $75 to $100 dollar range. It's an incredible value at its price. It also represents the future, like it or not. That said, this book is well worth adding to your library if you have any interest at all in the airplane. 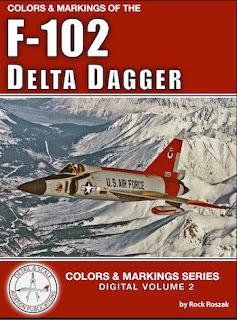 It's a worthy companion to Detail and Scale's previous F-102 effort. We recommend it. 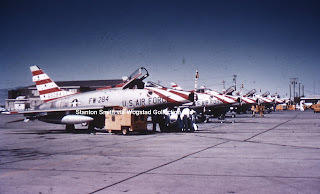 Next time around we'll have to take a look at the USAF and ANG T-Birds that Jim sent, but those are for another day! Once more, I find myself putting fingers to keys in response to a picture and question you aired, this time in the March 2017 blog. 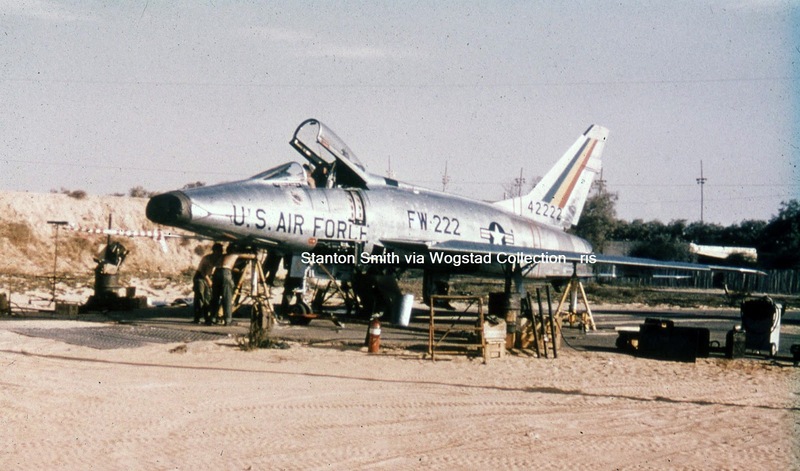 In that issue, you showed a picture of a Missouri Air Guard aircraft 54-1794 labeled a F-100C-1-NA (though the serial number seems to be for a C-5-NA) which was painted silver lacquer and wearing a F-100D tail. You questioned the how of this configuration. While I can't be sure, I would like to offer a SWAG or two on possibilities. 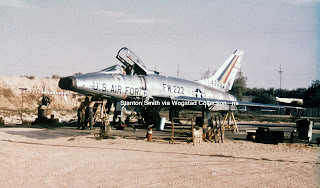 Project High Wire was a program to take F-100C/D/F Huns and replacing wiring harnesses and upgrading electronics. 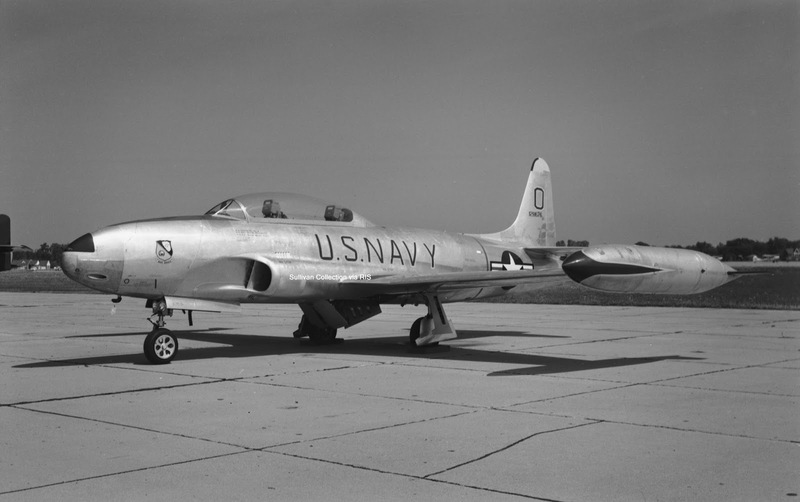 It also involved deep IRAN, refurbishment and modification to select airframes. 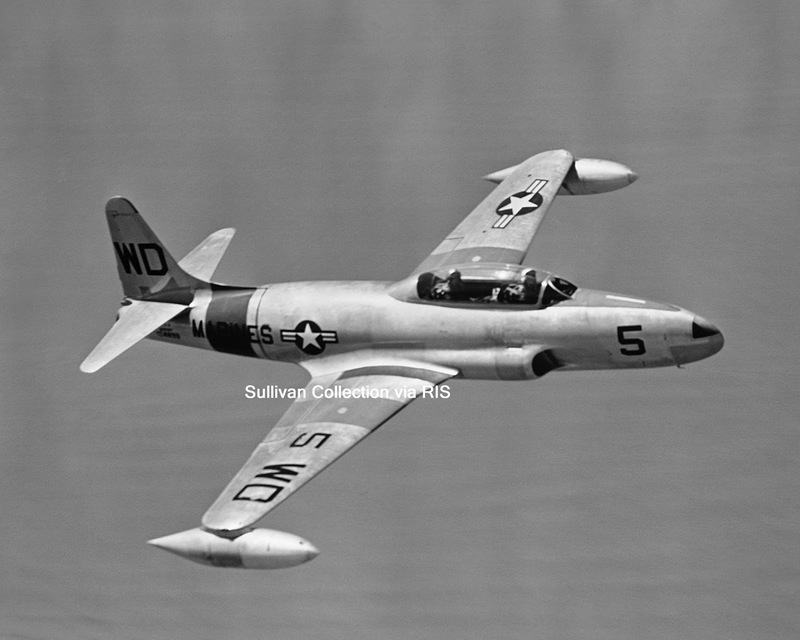 Without seeing the aircraft data card or knowing the date of the picture, I first have to make the assumption that if the MOANG kept this aircraft for a while (the tail mod suggests this is so), it went through High Wire. 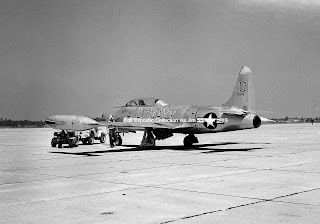 Using the "Way Back Machine" (thanks Mr. Peabody), we see that North American and the USAF knew that the F-100A tail had a serious lack of tail surface area, one that even the larger "C" tail fin did not adequately cure. 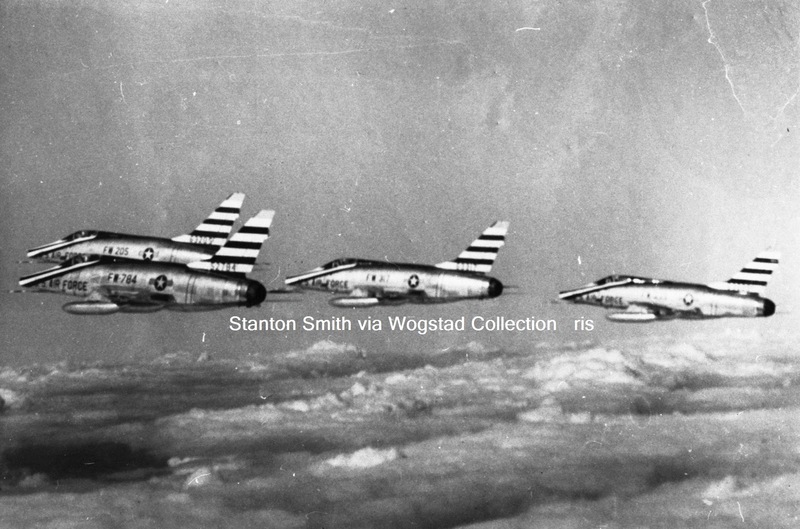 Witness the 118 F-100A aircraft transferred to the ROCAF. 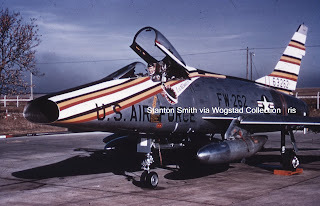 Most had a F-100D tail fin retrofitted prior to delivery to the Republic of China Air Force, complete with the tell-tale AN/APS-54 Tail Warning Radar fairing and a commensurate increase in fin area than, along with a dampener mod, all but eliminated the yaw problem. 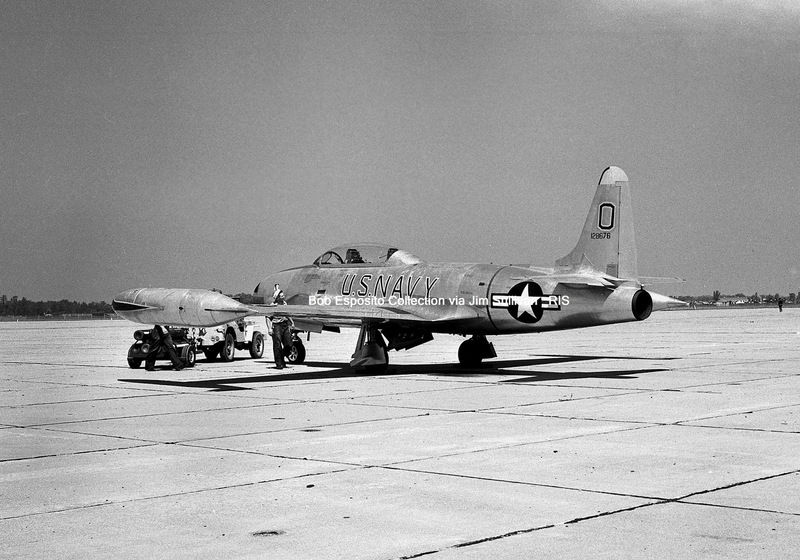 It also meant that North American was well versed in adding a "D" tail to an earlier version. Back to the picture. I suspect that there was a problem with the original tail on 1794 and that there was not a suitable replacement "C" tail available (this model had been out of production for quite a long time). Rather than junk the airframe, an better and available "D" tail was substituted (remember, NA knew how to do this). Even if the APS-54 wasn't live, the increased fin area would be welcomed. Technically, this works. The rest is "guesstimation" but I'll bet I'm close. Anyone in Missouri know for sure? Thanks very much for the insight, Tom! 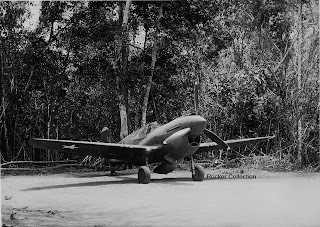 Both links will take you to short films on YouTube; the first is about Guadalcanal, while the second one illustrates the 365 FG's activities over Germany in their P-47s during the waning days of the Second World War. Both are well worth a look, and our thanks go out to Norm for hunting down these clips for us. That's about it for this time. We'll try to present a more productive blog for you next year but in the meantime, be good to your neighbor and we'll meet again soon!